Modern, reliable autonomous navigation requires the fusion of data from multiple sensors to ensure that a vehicle’s positioning error is always bounded. The choice of on-board sensors has yet to be fully determined—the door is open for cutting edge fusion techniques to dramatically improve navigation accuracy. At present, vehicle sensor packages typically include cameras, LIDARs, and GNSS-INS systems. However, these sensor packages are often not sufficiently accurate or robust to inclement weather, such as snow or rain. The development of robust solutions is imperative for autonomous vehicles operating in Canada, where navigation in harsh weather conditions is a necessity. 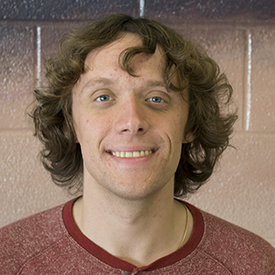 Emmett has a passion for investigating the application of novel sensors in the field of mobile robotics. Currently, he is examining the use of ground penetrating radar (GPR) to estimate the pose of a vehicle in inclement weather. Emmett’s goal is to improve upon the positional accuracy of state-of-the-art GPR localization algorithms, while performing a rigorous evaluation of GPR’s suitability as an all-weather solution for vehicle localization. 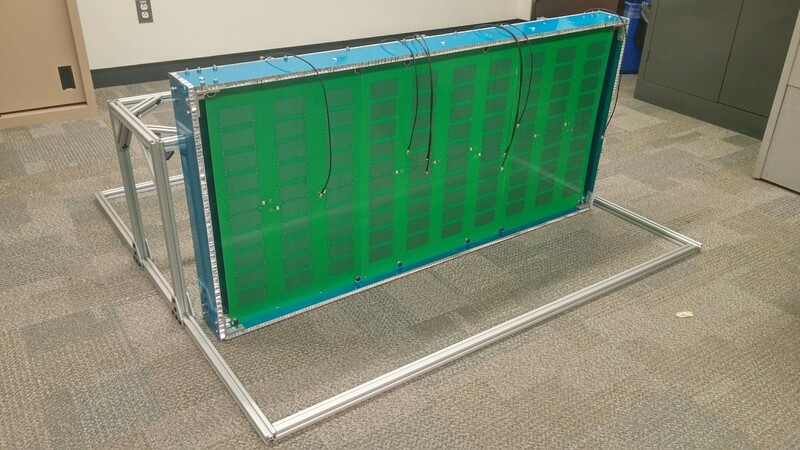 The ground penetrating radar antenna panels are mounted in the cavity. Calibration is soon to follow! This project aims to leverage ground penetrating radar’s robustness to inclement weather for vehicle localization.